Click on “My Account” in the top menu. At the bottom of the page, under the “Save Profile” button, you will find the link to change your password. 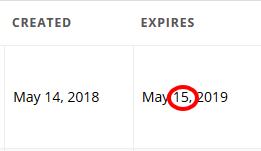 When should I receive next month’s videos? 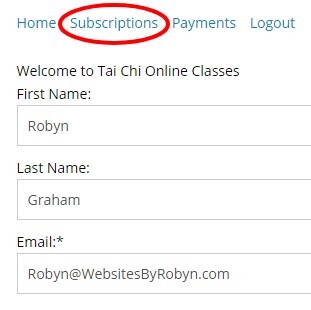 Click on “Subscriptions” in the Account menu. The day of the month that the membership expires, is the date a new monthly payment will be charged, and also is the day of the month it will automatically send you new videos. Click on “Update” at the end of the row. 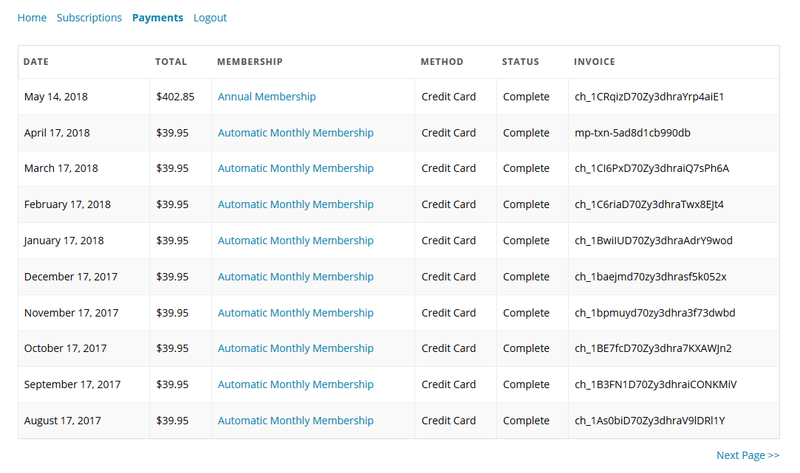 How do I change the type of membership (monthly or annual) that I have? Click on “Change Plan” at the end of the row. Click on “Cancel” at the end of the row. NOTE: Your membership will still be good until the end of your month or year cycle. Can I see a list of all of the payments I have made? 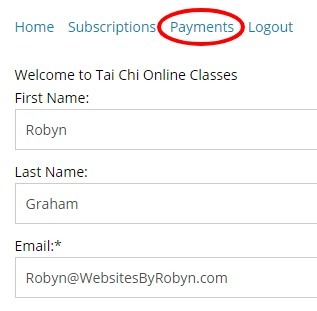 Click on “Payments” in the Account menu. If you have any further questions, please click here to contact me at the Help Desk.